Thanks for buying this bag. As part of their Good Business Journey, Woolworths is proud to support initiatives like the WILDOCEANS Programme. Through partnerships with their customers and organisations like WILDOCEANS, Woolworths is increasing awareness of environmental issues and the importance of conservation, while actively supporting WILDOCEANS projects. 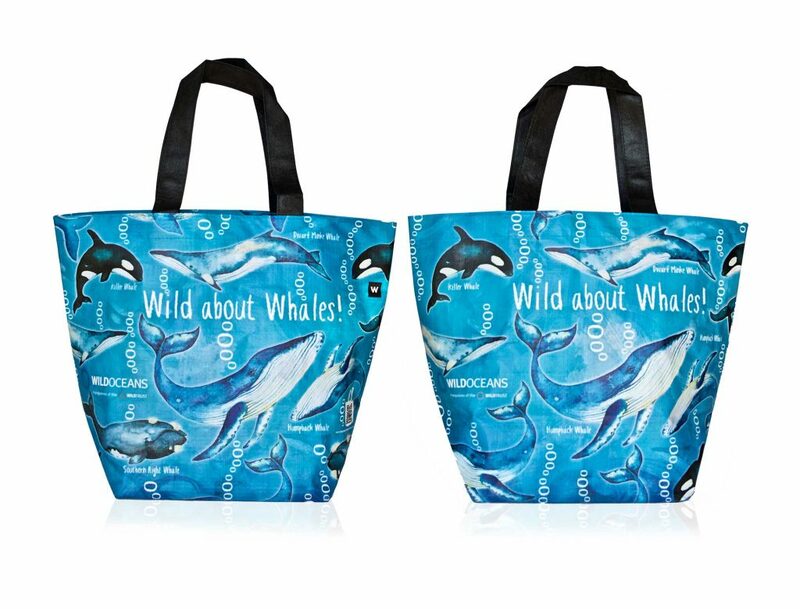 Through the sale of each bag, Woolworths donates R10 to WILDOCEANS. Funds raised will help develop and nurture the next generation of ocean ambassadors, supporting the Ocean Stewards and WHALETIME Programs. To find out more visit www.wildtrust.co.za/wildoceans. Through the Ocean Stewards and WHALETIME projects, WILDOCEANS hopes to inspire a new wave of marine scientists, conservationists and environmental managers into the blue economy. Both the Ocean Stewards and WHALETIME Programs aim to accelerate the emergence of a strong fellowship of offshore marine scientists and conservationists. They were launched in recognition of the threats facing our oceans and provide young marine science students and members of local communities, with a formative experiential journey that gives them unique insights into marine conservation. The Ocean Stewards Program is a capacity-building initiative that provides young marine science students with an experiential journey that gives them unique insights into marine conservation. 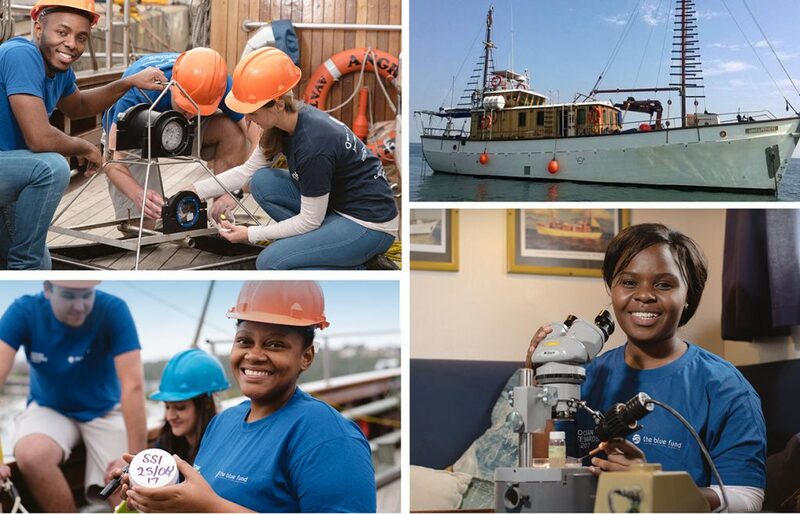 The activities that they take part in onboard the RV Angra Pequena (Research Vessel) help to broaden their understanding of the scope of marine science. Their efforts also contribute to identifying Marine Protected Areas along the KwaZulu-Natal coast as part of Operation Phakisa. The WHALETIME project was launched to highlight the Humpback whale migration along the coast of KwaZulu-Natal between their Antarctic feeding grounds and the coastal waters of East Africa where they give birth to their calves. This innovative project aims to bring science, conservation, tourism and community together around this iconic species. It provides a platform for a coastal community-based “citizen science” movement that brings beneﬁts not only for the conservation of whales and their ocean environment, but also for coastal communities. 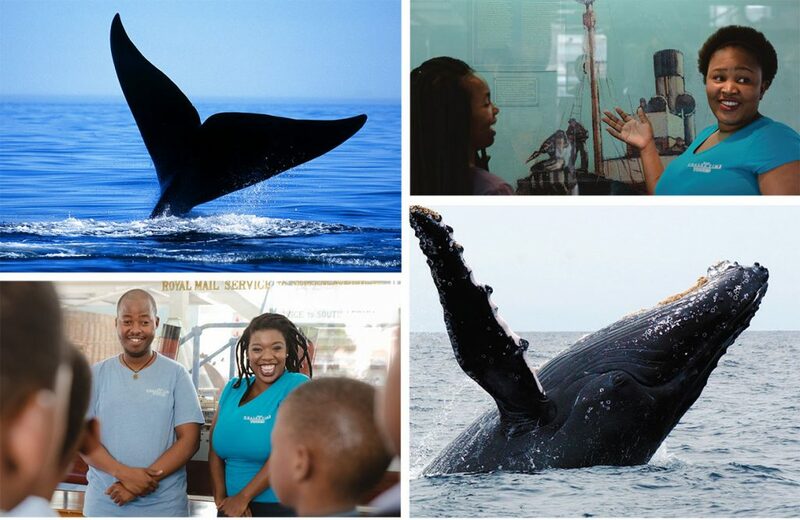 WHALETIME is engaging and training tour-guides from disadvantaged communities, who are currently conducting tours to spread awareness about whales, their history, the opportunities they present and the threats they face. The project has established an online platform www.whaletime.co.za that allows “citizen scientists” to capture and upload photos of whales they spot out at sea, which are then identified by experts. This will ultimately contribute to a bigger census that will help us better understand the potential growth of the whale population, their distribution, behaviour patterns and habitat use. Promote sustainable resource use and the resilience of coastal communities.